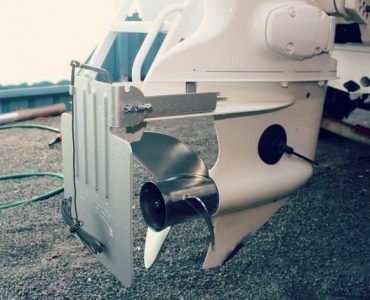 Modern fishing boats have many accessories to power like pumps, lights, stereos, trolling motors, and fish finders. 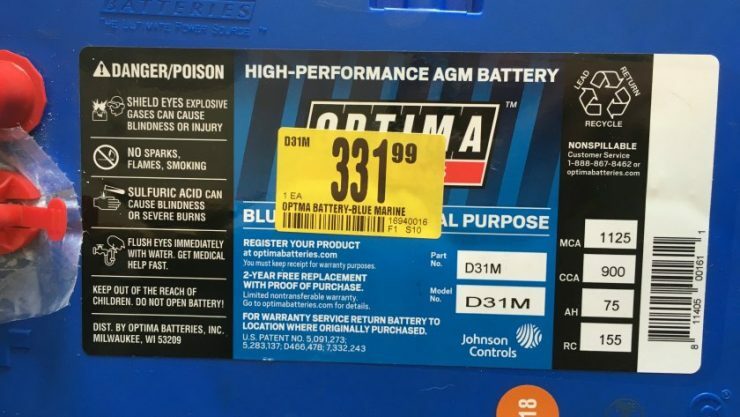 If you’ve ever had issues powering all those things over a full day of fishing, you’ll likely hear the advice to get a battery with a bigger “Group Size”. This is a very common problem, especially when adding newer large screen marine electronics to an older fishing boat. What does Group Size Mean? Marine battery group size is one of many specifications found on boat batteries. The group size is simply the physical dimensions of the battery housing as set by the BCI (Battery Council International). The size can increase in either length, width, or height, so it’s important to consult the charts. You can find your current battery’s group size on the labels, where it should be clearly marked. Jot down the group size for comparing it in the charts below. For deep cycle marine batteries, the rule of thumb is the larger the group size, the higher the Amp Hour capacity. 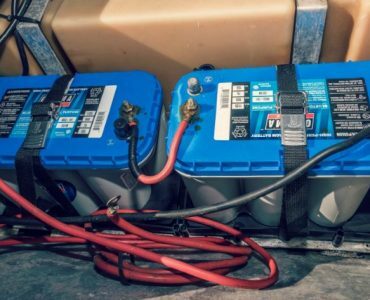 If you’re finding your trolling motor to be very weak at the end of a day of fishing in the wind, you could benefit by upgrading the group size of your deep cycle trolling motor batteries. Cranking batteries and group size are a little different. 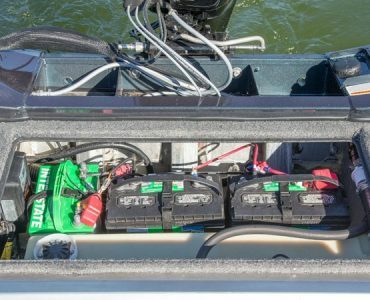 You need a battery with enough cold cranking amps to start your outboard engine, and enough reserve amps to power your fish finders, pumps, and accessories. Do not put those items on your deep cycle circuits, those should be reserved for trolling motors only. Look for starting batteries with Group Size with an M in the name, which is the BCI designation for marine and RV use. Marine batteries have different construction vs automotive. Measure the available space in you boat before buying batteries. You may need to stay within the size of the battery tray or install a larger tray for bigger group size. If you continue to have issues powering your electronics and accessories over a full day of fishing, you could have a wiring problem. Check that your boat wiring has sufficient wire gage to support the current draw of your electronics. 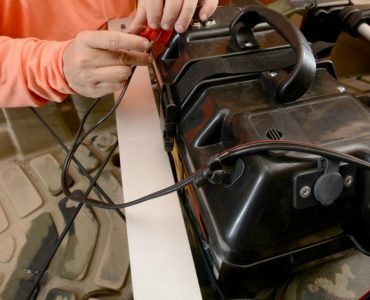 Consider adding a dedicated dual-purpose battery to power only your fish finders, leaving the less demanding parts on the regular cranking battery. Make sure you have a good onboard marine battery charger to care and maintain your battery investments.